This article was written while Dr Asgharian was based at The Brent Sickle Cell and Thalassaemia Centre on a six month training placement as part of her Doctorate Training in Clinical Psychology. She was invited to attend the sickle cell paediatric ward-round at Central Middlesex Hospital where she was able to learn more about the medical aspects of sickle cell disease; however she was concerned that children who were at risk of brain damage were not having access to neuropsychological assessment. She has chosen to write this article to raise the issue to parents and professionals alike of what was then a gap in service. Neuropsychology is concerned with finding out about the functions of the brain. The way the tests work, is that the neurosychologist asks the person questions and gets them to perform tasks to test their abilities in certain areas. For example, in a memory test, the person might be asked to remember information before being asked questions about it. In a language test a person may be asked to read a passage of text and then be asked questions about what it meant. The contents of each test vary greatly but at the end of the test, the score is calculated by comparing it with scores in a table matching for age and other similar characteristics. When the tests are first conducted, they are always used with large numbers of people so that later comparisons can be made. This allows the neuropsychologist to interpret the results and work out how the individual’s score compares with the tables to see if it is below or above average. People with sickle cell disease have a greater risk than most people, of medical problems which can affect the brain. The medical term for this is ‘cerebrovascular accident’. It includes strokes and other conditions which occur when the brain is deprived of oxygen due to blocked blood vessels. The brain cannot survive more than a few minutes without oxygen and therefore if part of it becomes deprived of oxygen, it may get damaged. It is difficult to predict if a person is going to have a cerebrovascular accident, the early signs may not always appear obvious or consistent. There are a range of physical problems a person can have after a cerebrovascular accident. The most obvious is when part of the body becomes paralysed and the person finds it difficult to walk to talk. Signs also vary in their severity and sometimes someone can have a cerebrovascular accident and the symptoms may not be apparent. Research shows that roughly 7% of children with sickle cell disease will have a stroke, this is a high figure compared with the general population where strokes occur very rarely in children, they are more associated with people in old age. As well as physical problems, the person may have cognitive difficulties. This can affect their performance in cognitive function in areas such as arithmetic, vocabulary, and visual motor speed and co-ordination. 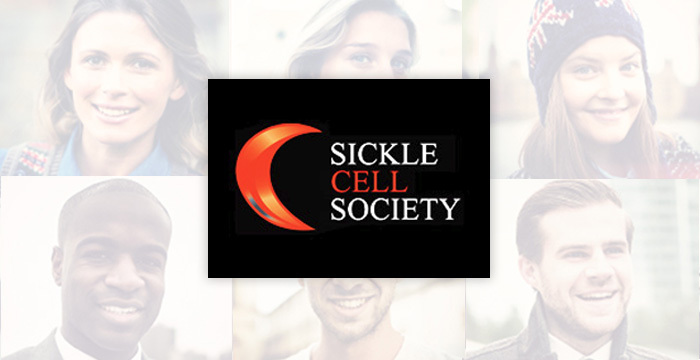 How can neuropsychological testing help people with sickle cell? After a child has had a cerebrovascular accident; neuropsychological tests can be used to determine the amount and the type of cognitive problems. Why do we want to do this you might ask? For children these tests are important because if they have cognitive problems, they may have difficulties with learning at school. In the school environment, it is important to find out about any problems the child might have in order to cater for their specific needs. Children who have cognitive problems can become disinterested in learning at school, they may find it difficult to concentrate and find the work more difficult than before. All this can affect the child’s self confidence. It is not always possible for teachers to know that a child has got specific learning problems and therefore they might think the child is just being naughty when they produce poor homework or they do not listen in class as they do not understand. It is not only children with sickle cell who are at risk of having these types of problems either. Children who suffer from thalassaemia, leukaemia, and other medical conditions may also have cognitive difficulties. Sometimes these problems can occur on their own with no known cause. As well as neuropsychological testing, there are other tests which are medical tests e.g. computerised topography scans (CT) and magnetic resonance imaging (MRI) look at pictures of the brain, and transcranial doppler tests (TCD) measure blood flow in the brain. The information these other tests give is important as they indicate which part of the brain is affected following a cerebrovascular accident. However, these tests are not designed to sensititively measure the functions of the brain and therefore do not give detailed information, for example, about a child’s ability with schoolwork and why they might show behavioural problems at school or at home due to problems with learning. Why isn’t the service of neuropyschology provided? Neuropsychological testing is provided unevenly in many health services around the country and depends on whether a clinical psychologist or a psychologist with special training in neuropsychology are employed. At the moment, there is a shortage of clinical psychologists and therefore not everywhere in the country has a full service. Some educational psychologists may provide this service through the education system, but this still leaves a gap in the health care provision for patients. I believe children with sickle cell disease should be screened by trained individuals using these tests. If there is an indication of a neuropsychological problem, it can be checked out more thoroughly by a psychologist with specific training in this area. If a problem is identified, then the Education Department can be notified to see if they can provide some special help at school. The family may also require advice on treatment regarding any psychological or behavioural problems that can stem from cognitive problems. As with every type of health provision, there is a financial cost to providing this service. Before finding money however, one has to create awareness of a need. Hopefully through writing this article I have highlighted some of the issues. Awareness of this gap in service provision is the first step towards change. In the article “Mind the Gap” Dr Anna Asgharian quite rightly highlights two key issues: good clinical practice and service development. Provision of specialised neuropsychological services for sickle cell children has wider implications not only in terms of resources but also involvement of schools and education departments of the Boroughs is required. At Brent Sickle Cell and Thalassaemia Centre we advocate evidence-based practice. This implies that as much as possible, good clinical practice and development of services are based on research. Past evidence in the UK has not shown that neuropsychological assessments on their own can predict the incidence of strokes or cerebrovascular problems in sickle cell children. A number of studies including some for the US, are suggestive of a combination of neurological investigations such as Transcranial Dopper Ultrasonography (TCD) and Magnetic Resonance Imaging (MRI) with neuropsychological tests. Hence, our practice has been to refer sickle cell children, when neurological problems are indicated, to Great Ormond Street Hospital where this combined approach is offered. Nonetheless, we have local medical research ethics approval for two neuropsychological studies, one to compare sickle cell children with their school peers, and another to screen patients. These studies begin to “bridge the gap” and will provide some evidence (at least for those attending Central Middlesex and Northwick Park Hospitals) to enable us to determine whether a specialised neuropsychological service is justified in this area.